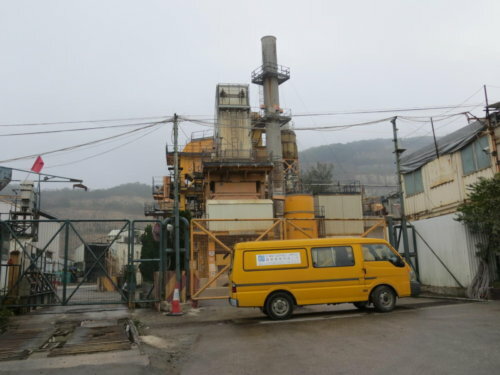 Anderson Asphalt Limited, a wholly owned subsidiary of Cheung Kong Infrastructure Holdings Ltd, was formed in 1977. 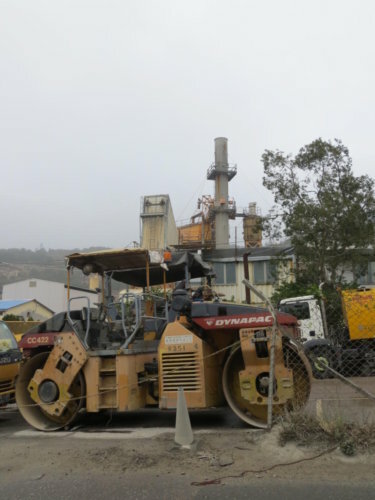 Asphalt Surfaces (International) Limited was established in 1994 to service the local bituminous pavement industry. 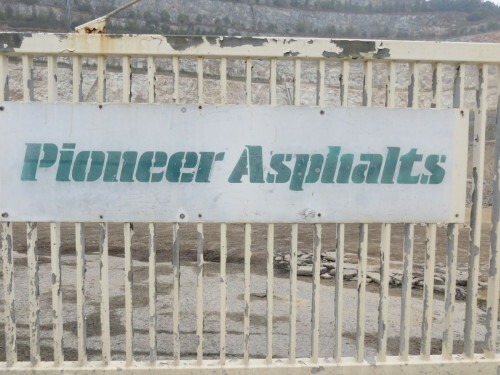 Pioneer Asphalts was incorporated on 12th January 1993. The Company does not appear to have a website. 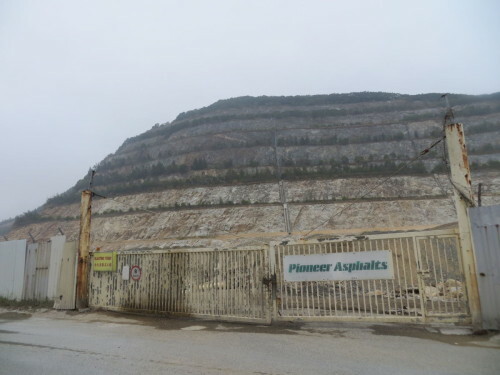 HF: I took these photos on 21st February 2015 on Anderson Road looking into the quarry. 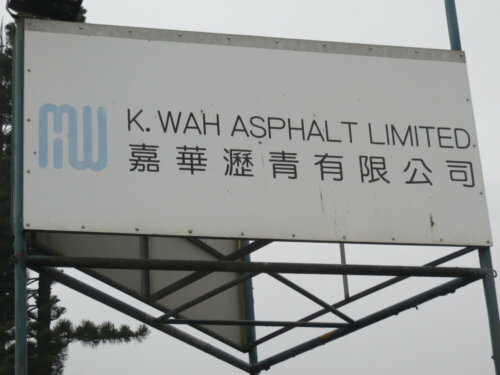 K.Wah Asphalt Ltd. manufactures asphalt as well as provides surfacing and road marking contract services. The company is based in Kwun Tong, Hong Kong. 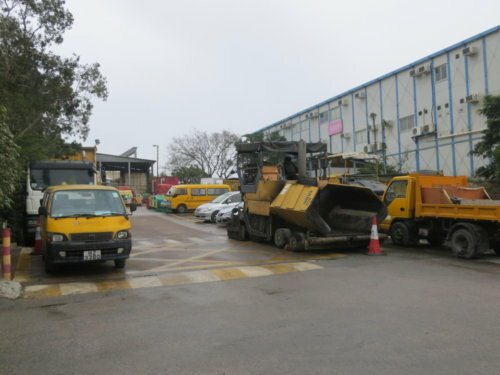 The company was formerly known as Tarmac Asphalt Hong Kong Ltd. before it changed its name in August 2007. As of August 11, 2006, Tarmac Asphalt Hong Kong Ltd. operates as a subsidiary of Galaxy Entertainment Group Limited. Tarmac Asphalt HK Ltd appears to have been incorprates on 28th April 1978. Confirmation needed. 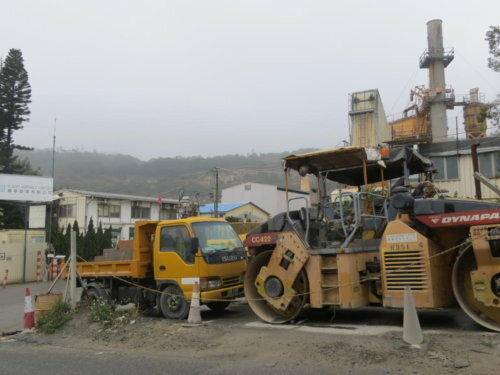 HF: I took these photos on 21st February 2015 on Anderson Road. This article was first posted on 11th August 2016.